Is an all-inclusive wedding venue right for you? You're busy and have no clue where you are going to find the time to plan a wedding. The average couple spends at least 120 hours planning their wedding- some spend up to 900 hours! You're anxious at the thought of "pulling it all together". Between the details, the timeline, the to do list and the logistics… just the thought of it makes you want a glass of River Garden Wine. You're overwhelmed with all the options out there. How do you know if the vendors are reliable? Which ones are good? Can we trust them? Your a little nervous about how costs will add up and are really trying to stay within your budget. It's impersonal or cookie cutter. Not at River Garden Winery! Our amazing vendors provide endless options to choose from! There are hundreds of menu choices from for a delicious meal. Wedding cake? Cupcake? Or Dessert Bar?- You pick! If you have a design palette in mind- our rental company and florist would love to help you along the way! We believe the opposite is true. I know it can be scary to see the WHOLE cost right up front. It's easier to think you can find it cheaper. But I can assure you, our packages and relationships with vendors save you money. Guaranteed. I'll have to settle for/pay for things I don't want. Not at all! We offer a ton of custom options- if you don’t need something we offer, we are happy to remove at full cost. 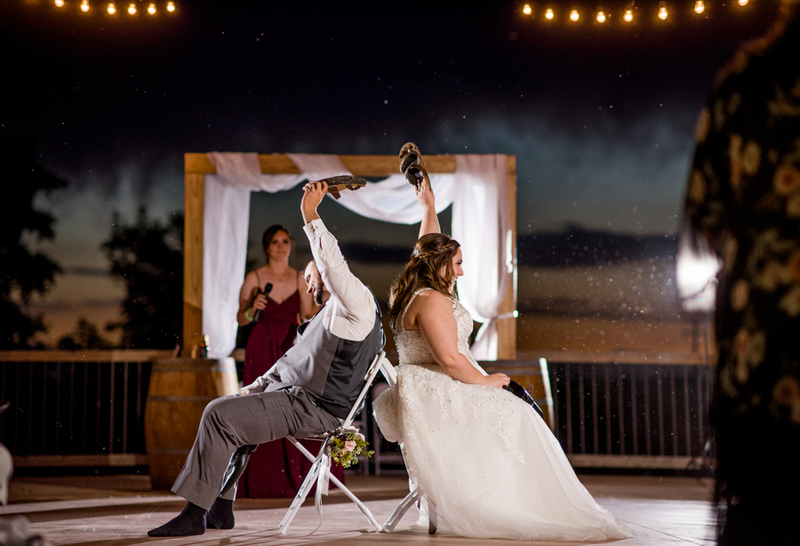 You have a professional wedding coordinator every step of the way! We are dedicated to make your wedding as stress free as possible! We handle all the logistics for you- from booking the vendors, paying them, updating design layouts, day of details and so much more. Our partner vendors can be trusted, promise! We have worked with them for years. Should an issue ever arise, we step in to help. Please don’t worry though, these vendors are really, really great. We save you money, we have negotiated AMAZING discounts on your behalf. If you're skeptical, we can give you an exact breakdown of costs. We have worked in a ton of options for you, giving you the custom feel you crave. You're one of a kind, your event should be too! With our payment plans, you can still pay for your wedding a bit at a time. Are you required to use their vendors, either included ones or on a vendor list? With the exception of catering, none of our vendors are required. Venues will write a long inclusive lists to appear to include a lot. Read carefully. Make sure to ask if there are any additional fees: bar set up fees, ceremony fee, service fee, gratuity. If they mention wedding planner/coordinator/supervisor- make sure to ask what role will they play exactly in your wedding planning. For reference, River Garden doesn’t have any hidden fees. All our packages includes: UNLIMITED wine and beer, food, cake, photography, DJ, wedding coordination (from start to finish), tables, chairs, china, and linen, centerpieces, you know, the major items! If I remove an option from the package, do I get the money back? Of course! All of it. 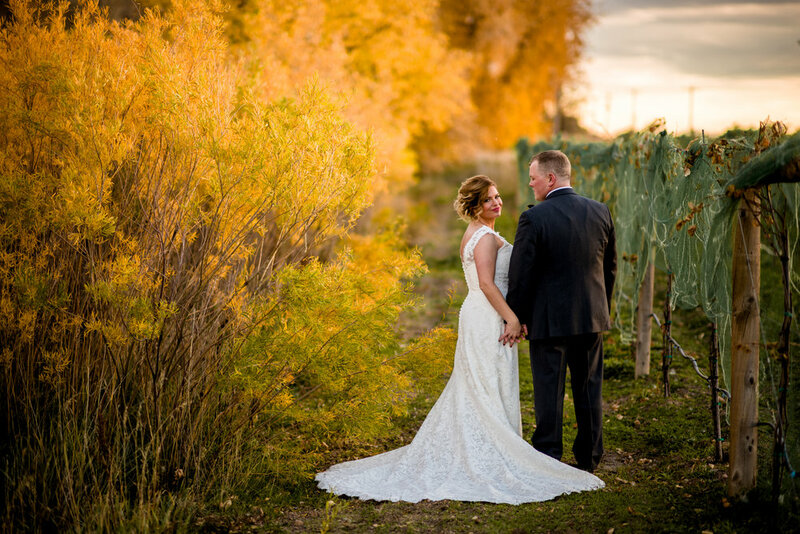 River Garden Winery’s wedding packages are customizable! If your grandmother wants to bake your cake- we will remove that service. Does your aunt do flowers or cousin take pictures- don’t worry- they still can! We are honest with our package prices and will remove the full service charge for vendors you don’t use.